Millet is often marginalized, and today it is not used that much. However, it is very nutritious and easy to digest, it is pretty cheap, cost-effective, and rich in B vitamins and potassium. Also, millet can regulate the pH in your body and thus help to maintain the acid-base balance in the whole organism. To prepare a nice dish use a cup of millet. Add 2-3 cups of water, and cook it on a low heat for thirty minutes. Millet can be prepared as a pudding as well. Cook some millet in a combination of fruit juice and water (4 cups) for 45 minutes to an hour. 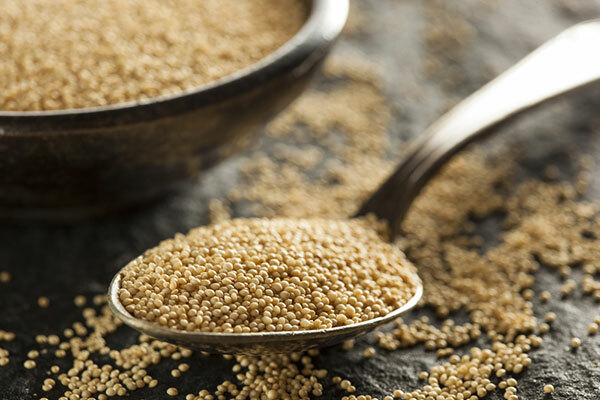 Quinoa has recently become one of the most popular grains. It is rich in iron and protein, and it is largely used by people who do not eat meat nor animal products. Cook a cup of quinoa and three cups of water for 10 minutes. Many people around the world start their day with an oatmeal. Oats are very high in fiber and protein. This grain does not contain gluten, but during the processing, there is a possibility that it gets “infected” with gluten, so make sure you look for products labeled as gluten-free. The recipe for oatmeal is quite similar to the recipe for any other grain; Cook a cup of oats and 2-3 cups of water for 15 minutes (depending on the thickness you look for). Rice has been widely used for centuries. It is rich in thiamine and does not contain gluten. If you want to balance your blood sugar choose basmati rice, and it will take longer for your body to digest it. For larger amount of fiber opt for brown rice, and it should be cooked for a little longer than regular rice. Cook a cup of rice and two cups of water a little longer than ten minutes. To prepare brown rice, cook a cup of the grain and 2-3 cups of water. It will take 45 minutes to an hour. Sugar cane is not that popular as other grains regarded as gluten-free. Probably a lot of people do not even know that sugar cane can be consumed as a grain. It is pretty hard to find it in the form of a grain. However, sugar cane flour is an excellent ingredient for the preparation of various pastries, and of course, it is gluten-free. Teff is a food product that is commonly used in the Ethiopian cuisine. It is rich in protein, fiber and other nutrients. Some people even call it “super-grain,” as it contains five times more calcium, iron and potassium than any other grain.